Weott, Calif. — California State Parks will hold an open house meeting to solicit comments on a draft road and trail management plan (RTMP) for Humboldt Redwoods State Park. The RTMP describes the existing roads and trails of the state park and provides specific direction for management and operations in the future. The goal of the plan is to enhance recreational trail opportunities, while protecting the park’s cultural and natural resources. 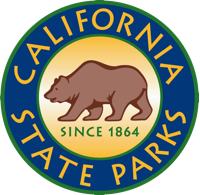 Written comments will be accepted by California State Parks until June 30, 2017. All timely comments will be considered by staff prior to finalization of the plan. Comments may be submitted at the open house meeting or via e-mail to trails@parks.ca.gov. Located in the coastal mountains of southern Humboldt County, the state park is internationally renowned as home of the world’s largest remaining contiguous stands of ancient coast redwoods. Humboldt Redwoods State Park has over 50 miles of roads and 60 miles of trails for hikers, bikers, and equestrians, which provide access to various sections of the park including into the steep and rugged backcountry.